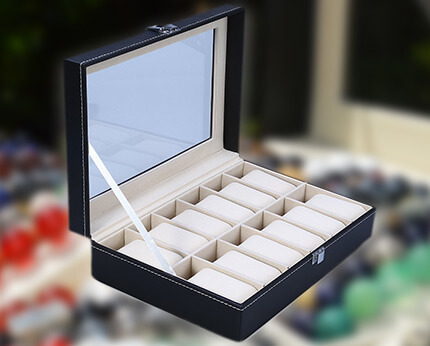 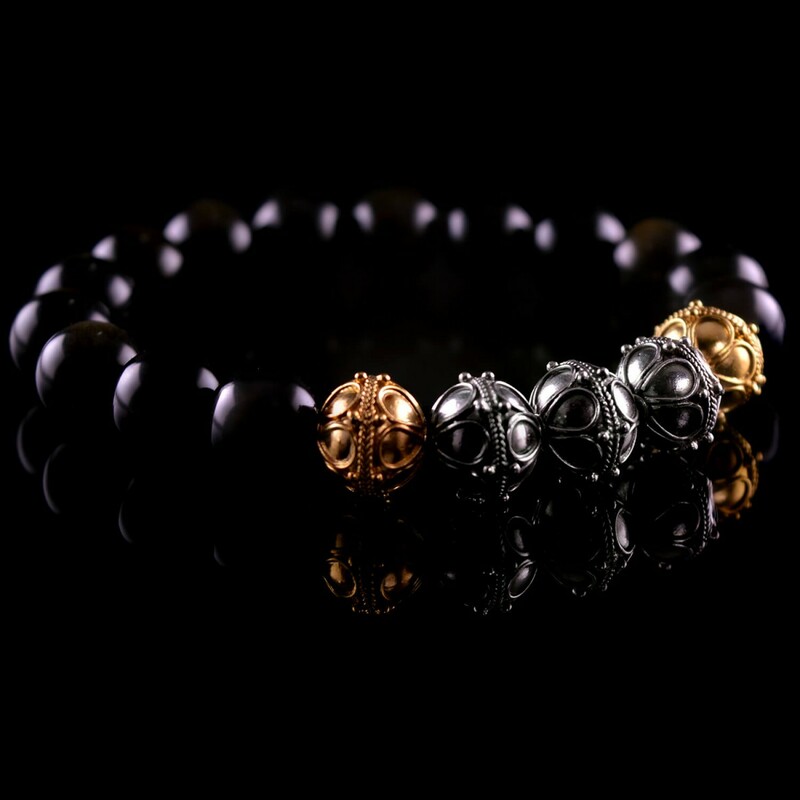 Gold sheen Obsidian is one of the most exclusive stones on the market. The Golden glow inside these stones is truly magnificent. 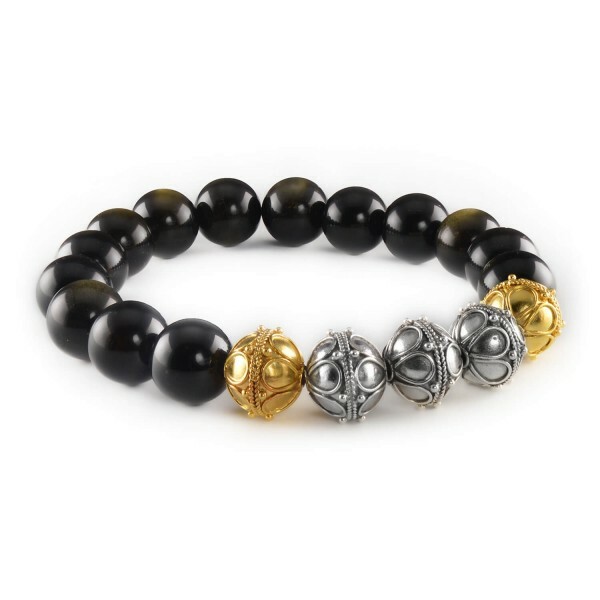 This luxury bracelet is complemented with 24k vermeil gold and sterling silver focal beads. 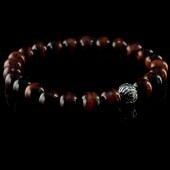 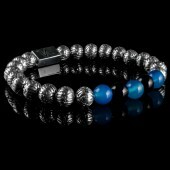 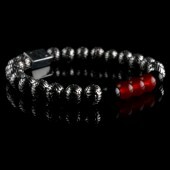 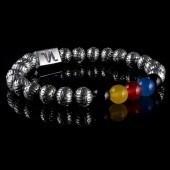 This bracelet is wired with double 0.8mm elastic silicon, sturdy, durable and strong.